Construction of the second tunnel on Auckland's Waterview Connection project has reached a significant milestone, with the first stage of tunnelling stopping today (Friday, 20 February). The NZ Transport Agency highway manager Brett Gliddon said the stoppage was a planned one to complete the turnaround of machinery needed to allow the project's giant Tunnel Boring Machine (TBM), Alice, to finish construction of the tunnel. "The turnaround is expected to take 10 weeks and Alice will then be ready for her main drive south towards Owairaka to complete the second – northbound – motorway tunnel. Breakthrough at Owairaka is expected next spring." Alice completed excavation of the project's first tunnel last September, travelling 2.4 kilometres north from Owairaka to Waterview. The front section of the TBM, including the cutter head, was turned around before Christmas and has already excavated 270m of the second tunnel. "There is now enough room to bring all the necessary gear into the tunnel so that we can complete the job," said Mr Gliddon. A temporary gantry (known as gantry 2.1), which has been helping Alice, has to be removed. Her two remaining gantries – which contain important services for the operation of the TBM - have to be pulled from the first tunnel, turned 180 degrees inside the Northern Approach Trench (NAT), and then reconnected to the cutter head. The culvert-laying gantry being used to build the services culvert on the floor of the main tunnels behind Alice also has to be removed from the first tunnel, turned, and installed in the second. As well, two access bridges will be built in the NAT to connect the tunnels. 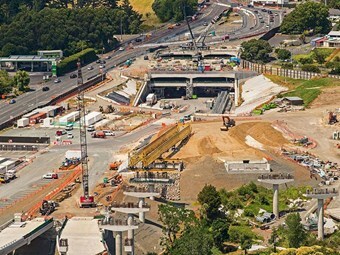 The Waterview Connection project includes construction of twin tunnels and an interchange to link the Southwestern and Northwestern Motorways. It will complete Auckland's Western Ring Route, a 47-kilometre-long motorway between Albany on the North Shore and Manukau in the south. The completed motorway will deliver several benefits for Auckland and the city's regional neighbours. It will give drivers a second motorway choice to the Southern and Northern Motorways (SH1) through central Auckland, improve access to important commercial and residential destinations, reduce traffic on local roads, and provide better links for public transport and for people who walk and cycle. The Waterview Connection project is planned to open to traffic in early 2017. It is being delivered by the Well-Connected Alliance which includes the Transport Agency, Fletcher Construction, McConnell Dowell, Parsons Brinckerhoff, Beca Infrastructure, Tonkin & Taylor and Japanese construction company Obayashi Corporation. Sub-alliance partners are Auckland-based Wilson Tunnelling and Spanish tunnel controls specialists SICE. 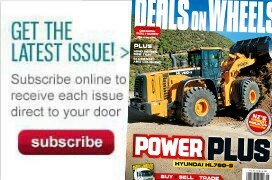 Never miss an issue of Deals on Wheels. Subscribe here.